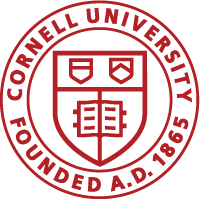 Cornell Health, FSAP, and CURW will not share with the university’s Title IX Coordinator or any other university officials any information disclosed to them in the course of providing medical and/or mental health services or pastoral counseling. These conversations may also be legally privileged in the event of a court proceeding. The victim advocate, directors of the WRC and LGBT Resource Center, and the ombudsman will not convey any personally identifiable information to the university Title IX Coordinator or any other university officials; however, they may share with the university Title IX Coordinator de-identified statistical or other information regarding prohibited conduct under this policy. The Advocacy Center is independent of Cornell and has no duty to consult with the university. For confidential support resources other than those listed above, call the New York State Domestic and Sexual Violence hotline at (800) 942-6906. Cornell’s Sexual Harassment and Assault Response and Education (SHARE) website (share.cornell.edu) provides information to the Cornell community about sexual and related misconduct, and offers information about the SHARE partners who provide services, support, reporting options, education, and advocacy. Even those university officials who cannot guarantee confidentiality will maintain a person’s privacy to the greatest extent possible. When the information pertains to sexual or related misconduct, the information provided to a non-confidential resource will be relayed to the Title IX Coordinator or Deputy Title IX Coordinator only as necessary for the Title IX Coordinator to investigate and seek resolution.